SUBHEAD: It’s not so hard to meet heartache and chaos in this world, and yet love and beauty still abide. 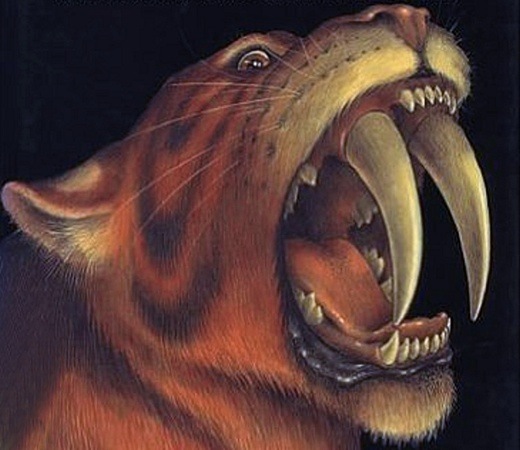 Image above: Detail of poster illustration for "A Natural History of the Carnivores". From (https://retrieverman.net/2015/11/03/the-velvet-claw-on-youtube/). I was interviewing a couple of homesteaders on an island north of Seattle at twilight last night when they noticed that the twelve-year-old family dog, name of Lacy, had not come home for dinner as ever and always at that hour. A search ensued and they soon found her dead in the meadow a hundred feet behind the house with two big puncture wounds in her body. Nobody had heard a gunshot. We’d just been talking inside and a nearby window was open. They suspect the dog met up with a black-tailed deer buck out there and was gored to death. We hadn’t heard a yelp, or anything. A week ago, an eagle got one of their geese, and some land-based monster got its companion just the other day. Nature is what it is, of course, and it’s natural for human beings to think of its random operations as malevolent. That aspersion probably inclines us to think of ourselves as beings apart from nature (some of us, anyway). We at least recognize the tragic side of this condition we’re immersed in, and would wish that encounters between its denizens might end differently — like maybe that two sovereign creatures meeting up by sheer chance on a mild spring evening would exchange pleasantries, ask what each was up to, and go on their ways. Malevolent nature visited me the night before, back home in upstate New York. Something slit the screened window of my henhouse, got inside, and slaughtered two of my birds. Big Red was missing altogether except for a drift of orange feathers. I found Little Blue just outside in a drift of her own feathers, half-eaten. It’s the time of year when the wild critters of field and woodland are birthing their young and anxious to procure food for them. Who can blame them for that. Chicken is an excellent dish. I eat it myself, though never my own hens. I actually rescued Little Blue from the clutches of a red-tailed hawk last year as the hawk struggled to get airborne with her and let go as I screeched at it. Blue recovered from the talon punctures and had a good year — one good year on this earth with all its menace, when it is not busy being beautiful. I worry about my chickens inordinately, though my friends who’ve been immersed in country doings much longer than me find this ludicrous. Despite our yearnings and pretenses to bethink ourselves specially holy beings, we’re specialists at carnage when we’re not composing string quartets or carrying out God’s work on Wall Street. The next morning, I motored down Interstate 5 to the Seattle airport to board a giant aluminum and plastic simulacrum of a bird for a rapid journey to Oakland, California. The fantastic violence of an interstate highway is hard to detect when A) you’re hermetically sealed in the capsule of your rent-a-car, and B) when you’ve been driving on interstate highways so many years that it seems like a normal human environment. And the fury of a jet airplane rending the fabric of the sky is hardly noticeable when you’re in seat 21-D being served iced drinks and pretzels. Somewhere in this universe — maybe everywhere in it — a skeptical intelligence may be wondering at our doings here. Something lethal is waiting out there to get you and me, too — some carnivore perhaps, a one-celled demon, a venture capitalist with a snootful of Cabo Wabo “thick cut” tequila behind the wheel of a Chevy Tahoe. It’s not so hard to meet heartache and chaos in this world, and yet love and beauty still abide. Treasure them when you find them. They explain everything. Get in the lifeboat now!